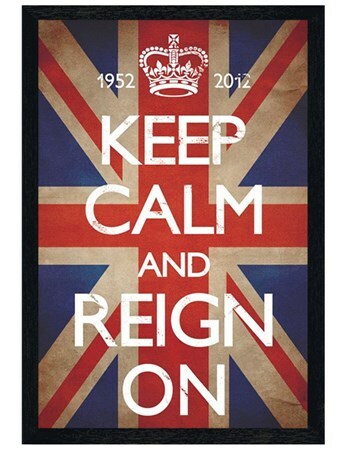 Celebrity Maxi Poster: Celebrate Queen Elizabeth II's Diamond Jubilee in style with this eye catching maxi poster. 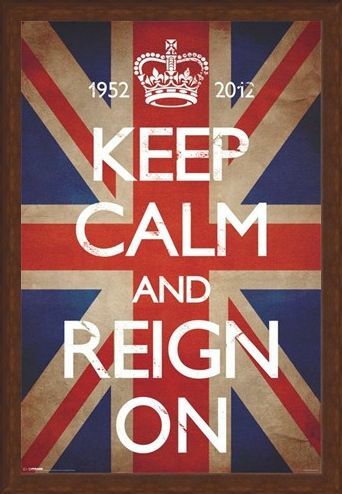 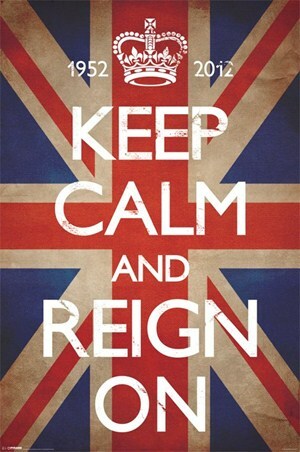 Featuring a vintage Union Jack waving proudly in the background, the words 'Keep Calm and Reign On' are splashed across the centre of the image as the dates of the monarch's reign are displayed across the top. From 1952 to 2012, Queen Elizabeth II has reigned over Britain and now it is time to celebrate this historic moment and what better way to do so than with this vibrant poster which is bursting with Great British pride. 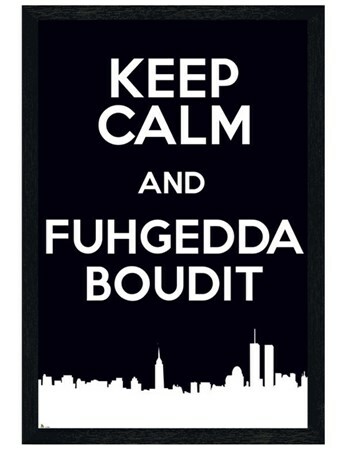 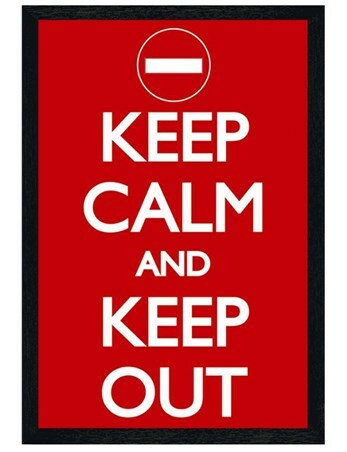 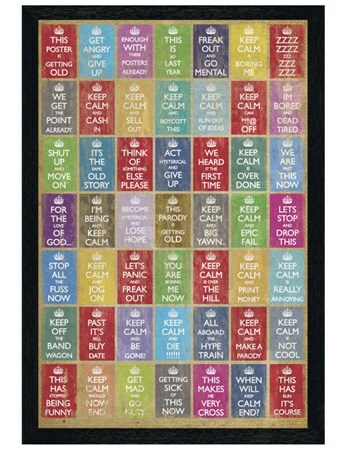 High quality, framed Keep Calm & Reign On, Keep Calm and Carry On poster with a bespoke frame by our custom framing service.